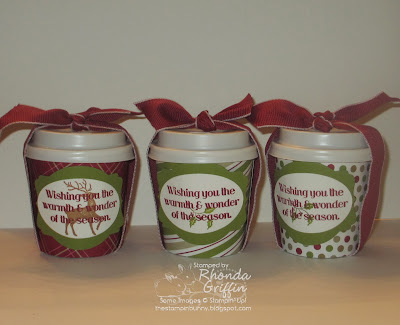 It is quite fun to put these together because they are so cute The designer series paper may vary, and you'll choose Deer or Holly behind the sentiment and have 5 pieces of coffee hard candy. 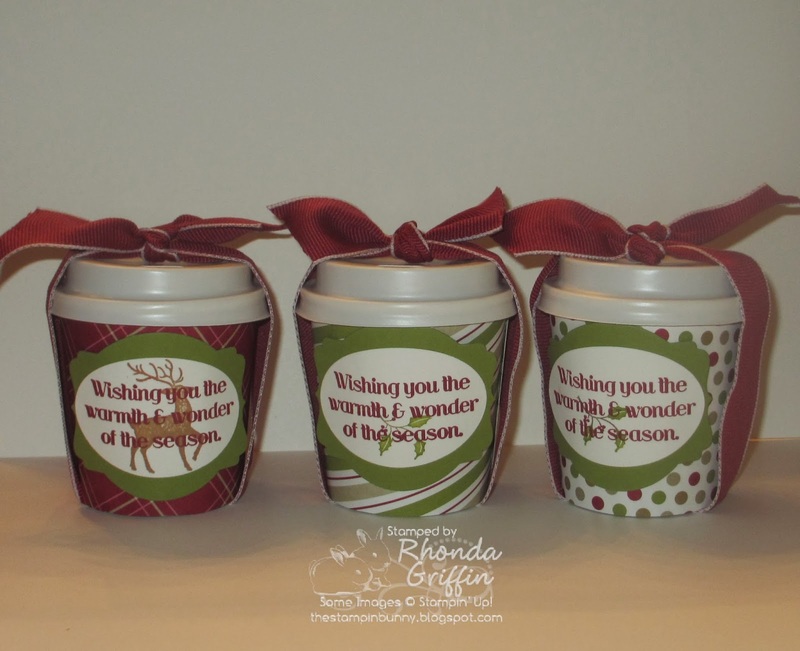 You could also put a little bag of coffee in this cup for a cute gift wrap. 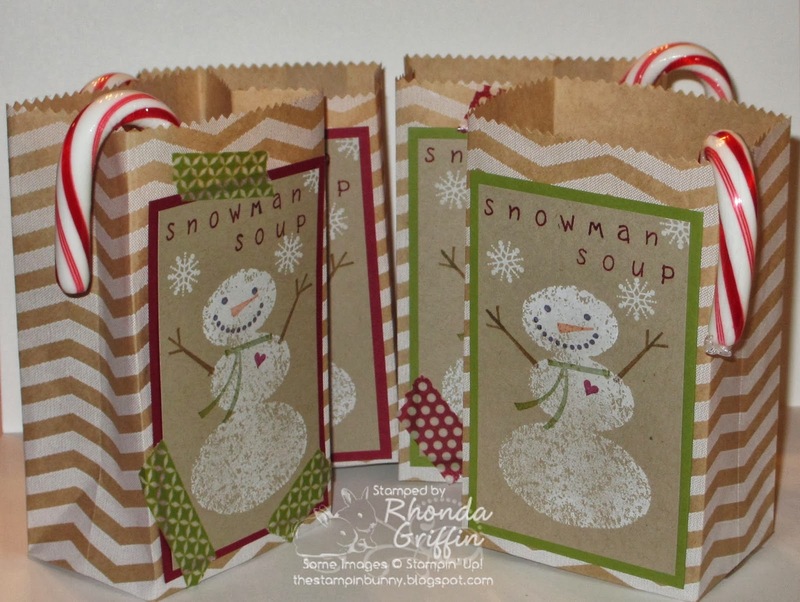 This year's Snowman Soup features the Snow Day stamp set and the chevron Tag A Bag gift bags. 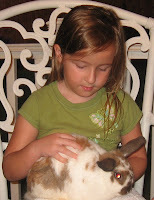 At Convention we learned an easy way to turn the flat bags into a flat-bottomed bag. 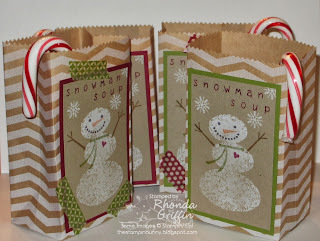 It makes a cute bag with or without the Washi tape. I couldn't decide for sure, so I made a few of each for the Craft Fair this Saturday. Since I'm working on things for a craft show at Quail Springs United Methodist Church in Edmond/Oklahoma City on Saturday, I thought I'd share a few things that I'll have for sale there. The things I post here will also be available at gift class for you to make. 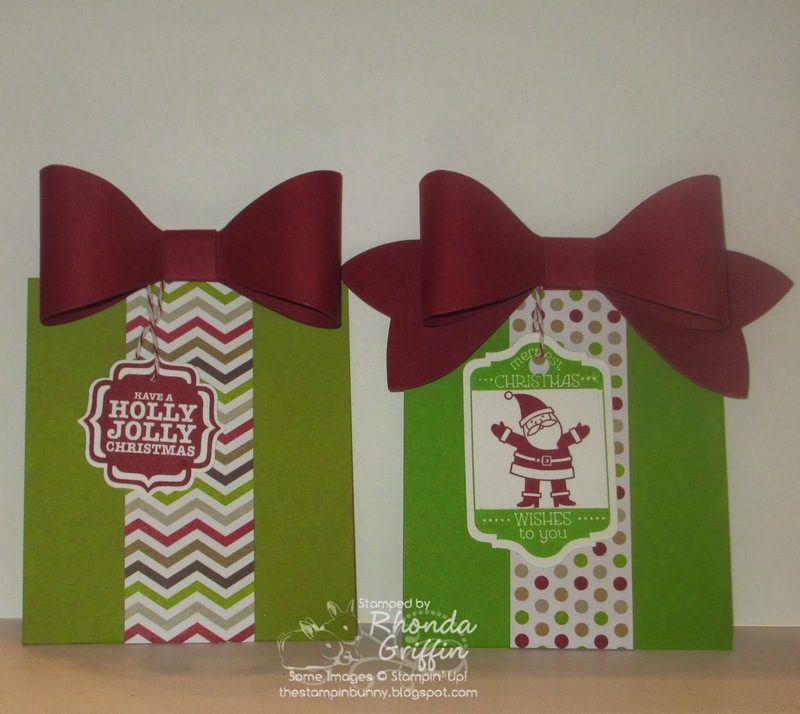 The gift card holders this year are these Bow-bedecked wonders (Bow die card originally created by Sharon Armstrong.) Choose masculine or feminine bow (To me, tails are feminine and no tails are masculine) and dangle Holly Jolly or Santa. The green looks a bit like it is on fire...That is just Gumball Green on the right and Old Olive on the left. 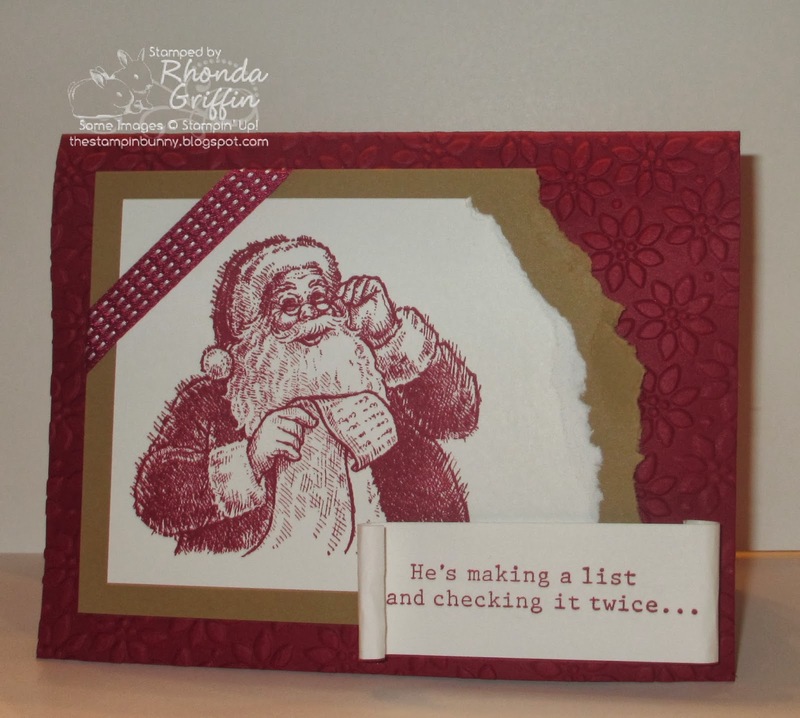 CASE of Kathleen Brill-Myrice Santa's List Stampin' Up! 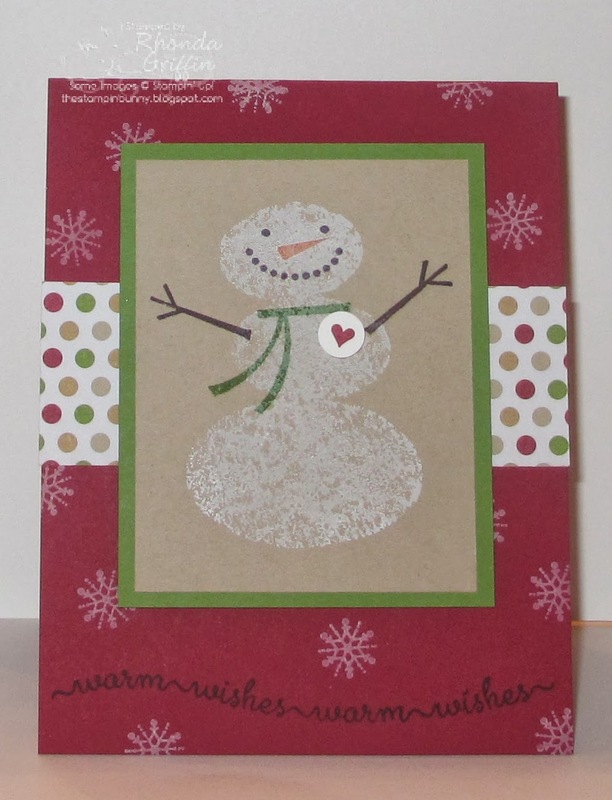 Santa is Making a List and checking it twice....This card is a CASE of Kathleen Brill-Myrice's Convention swap, and is lined with white cardstock...The inside says,"I hope you're nice." with a Merry Christmas sentiment too. 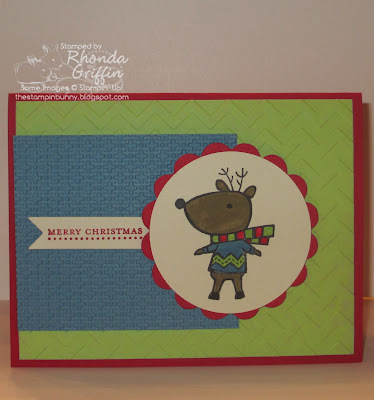 This card uses MOJO Monday's MOJO314 sketch with the hostess set, Warmth and Wonder's Tree. I just used the woodgrain background to echo the woodsy :). This little Reindeer's Chevron sweater has a matching background...the color is a little strange in the stormy lighting today. The green is Pistachio Pudding...not neon at all....sorry about that! Well, I changed the colors, but I loved Natalie Kennedy's Convention Swap card so much that I had to offer a similar one for Stamp A Stack. 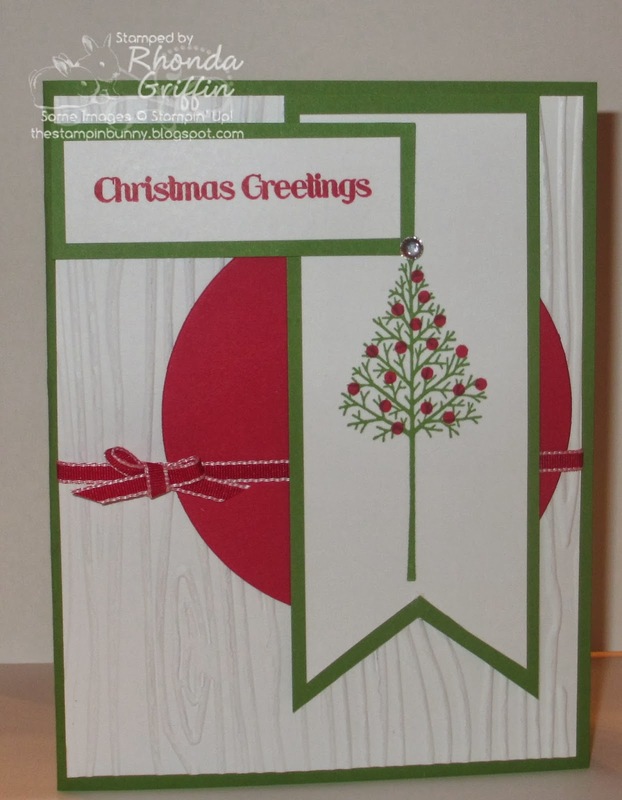 This is the Snow Day Stamp Set on page 25 of the Holiday Catalog....It is just white craft ink on Kraft Kake (Crumb Cake)....I don't know about you, but my dsp stack sheets are Gumball Green not Old Olive, so I used that green for the main image mat. You've probably arrived from Holly's Rubber Redneck blog where you saw her cutie pie creations with the Wishing You set, but if not don't worry, you can follow the links through all the stops. 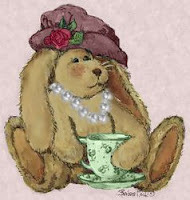 If you get lost, just stop by the Chat Thread on Stampin' Addicts where a list is posted. The Calm Christmas set on page 26 of the catalog is so versatile. So many techniques are lovely with this sweet dove. 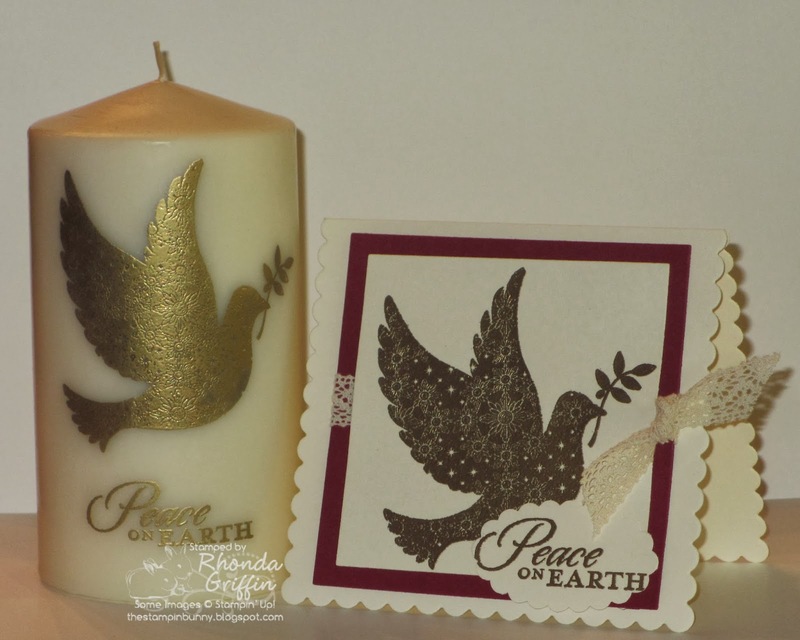 It is difficult for me to go a year without stamping on a candle, and a peaceful image like this one is perfect for a candle. Gold embossing and Very Vanilla are so rich for Christmas cards, and I hope I showed the elegance of this set with the matching card. A little pop of Cherry Cobbler and the somewhat unexpected texture of Crochet Ribbon finish the card easily. The scalloped square was made using the Square Framelit. Both of the items are embossed in gold, but the card didn't catch the light very well. I wanted to show them together because I think they'd make a cute little gift when presented together. 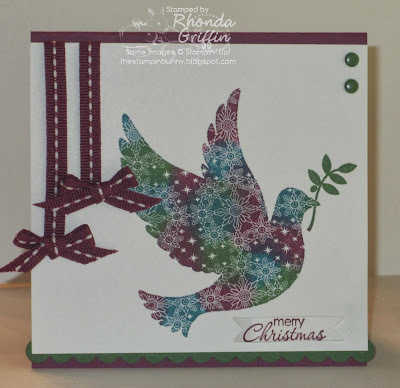 I'm sure you all know by now that I love a "shaped" card, and Emboss Resist is another fun technique for this image. 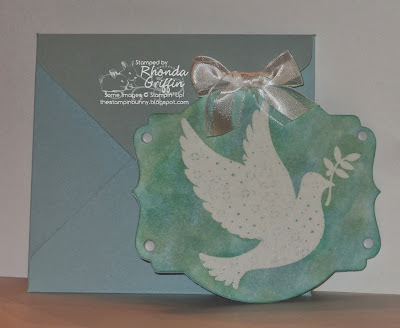 I used the Deco Labels Framelits and some soft blues and greens (Soft Sky, Pool Party and Pistachio Pudding) for a cloudy background after clear embossing with Versamark on Whisper White. I layered the main image on a doubled Déco Framelit base and added candy dots and a bow....This would really move around in a medium envelope though.....No problem! 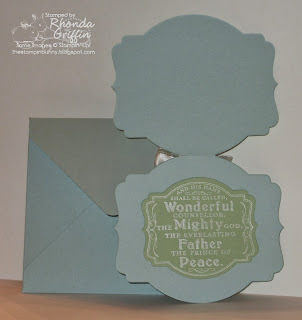 I just made an envelope using Soft Sky by using the new Envelope Punch Board. It was quick and easy to make the 4X4-1/2" envelope. You were probably expecting the lovely sentiment from Calm Christmas to be inside this card, but I wanted to continue the Deco Label Framelit shape by using the single stamp, Prince of Peace (134811, $6.95) embossed in Whisper White craft ink with Whisper White Embossing Powder. Finally, a multicolor card adds a bit of whimsy. This is one of my favorite combinations at Christmas. In the past, I used Not Quite Navy, but Island Indigo is lovely with Garden Green and Rich Razzleberry too I think. 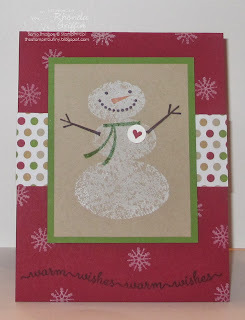 This was made by just twisting sponge daubers over the stamp in a pattern of color...easy! This card also uses MOJO313 as the sketch. I intentionally left the bottom edges with a slight overhang of Garden Green scallop on the left and right...I thought it was fun and different without being too different. I hope you enjoyed Calm Christmas. 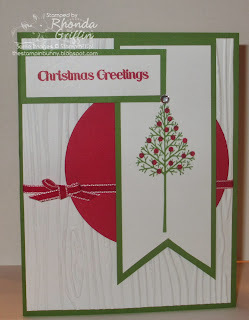 Now it's time to continue to Betty's blog, KittyStamp to see what lovelies she's made with the Holly Jolly Simply Sent Kit. The photo panel is amazing! I hadn't seen the Winter Frost ds paper stack used for a File Folder card yet, so I decided hope to it. 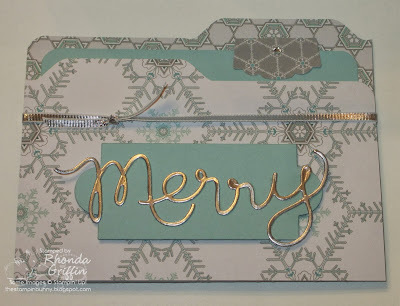 This File Folder card (tutorial by Patty Bennett) makes the Envelope Punch Board even more useful. 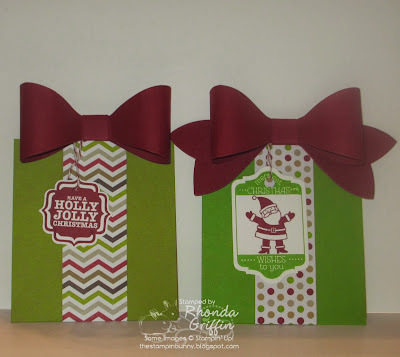 The Expressions Thinlits Merry die used with the super shiny silver foil makes a fun focal point. I just used the Artisan Label punch and a tiny bling for a little tab to grab the insert cardstock for signing.